NEW YORK, N.Y. -- Today, New York Attorney General Barbara D. Underwood and Governor Andrew M. Cuomo announced a lawsuit to protect New York and its taxpayers from Washington’s drastic curtailment of the State and Local Tax (SALT) deduction. The lawsuit argues that the new SALT cap was enacted to target New York and similarly situated states, that it interferes with states’ rights to make their own fiscal decisions, and that it will disproportionately harm taxpayers in these states. Click here to read the lawsuit. This new, drastic curtailment of the SALT deduction has both the purpose and effect of harming New York, other similarly situated states, and their residents. Among other things, the new cap will depress home prices, spending, and business sales, and result in slower growth for the New York economy and fewer jobs. 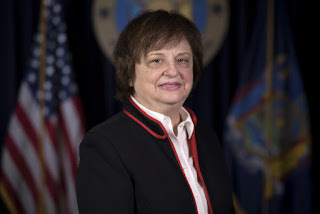 The lawsuit, filed today in the U.S. District Court for the Southern District of New York, was led by Attorney General Underwood and joined by the Attorneys General of Connecticut, Maryland, and New Jersey. By depressing home values, the new provision will hurt taxpayers in New York and other states, while also reducing state tax revenues – forcing states to choose between higher tax rates or cutting investments in education, public services, and other vital programs.